Like most people new to Bitcoin, you’re probably wondering whether it is anonymous. The answer is NO. While many individuals see it as an anonymous cryptocurrency or payment platform, Bitcoin, like many other cryptos is private but pseudo-anonymous. While it doesn’t need users to provide their details, all the transactions they’ve made or will make are public domains, and everyone in the blockchain will be able to see them. To secure its transactions Bitcoin uses a public key, which is a long string of letters and numbers called a BTC address. These public keys are not tied to any identifiable details and information; however, in theory, they can be used to gather information about an individual over time. Compared to cash transactions, Bitcoin offers less anonymity. Since the transaction blockchain acts as a public ledger, all the transactions you made are available publicly for the entire BTC network to see. But keep in mind that users’ anonymity is not compromised unless somebody can link their Bitcoin address to their identity in the real world. You have the amount of BTC you want to send. You have not sent the Bitcoins to somebody else. Once this information is validated, your transaction will be included in a block, which will be connected to the previous block, thus coining the term blockchain. All transactions are irreversible and cannot be tampered with. If you’re interested in Bitcoin, there are some things you should be aware of. The leading digital currency allows for the exchange money in several ways than the conventional banks. For this reason, it is essential to take time to do your research and inform yourself first before joining the bandwagon and using BTC for any serious transactions. Always treat Bitcoin with the same caution and care as your physical wallet, or probably even more. Secure your Bitcoin wallet: BTC lets you easily transfer coins anywhere and allows you to be more in control of your currency. This great feature also comes with serious security concerns. Although the Bitcoin network can provide its users with extreme levels of security if appropriately used, it is always important to remember that you are still responsible for adopting good practices for your money to be protected. Bitcoin and all crypto's price are volatile: The increase or decrease in Bitcoin’s price is unpredictable. It can change over a short period because of aspects like novel market, young economy and illiquid markets at times. Therefore, it is not recommended to keep most of your savings with Bitcoin at this point. See it as an asset that bears the high risk, and only store money you are willing to risk. Any payments made are irreversible: You cannot reverse any Bitcoin transaction, and only the individual who received the funds can be refunded. This means that you should always be wary who you do business with. Know who to trust and always check that the organization, company or exchange you will sign up with are reputable. Why Do People Regard Bitcoin as Anonymous? Bitcoin addresses on a protocol level are not linked to the user’s identity, unlike with a bank account or other payment schemes. Users have an option to create an entirely random and new BTC address at any time, without the need to provide their private information to anyone. Any transactions made are not linked to the user’s identity. In other words, anyone can transfer BTC successfully from any address to any other address without revealing any of his personal information. The receiver does not know the sender’s identity as well. 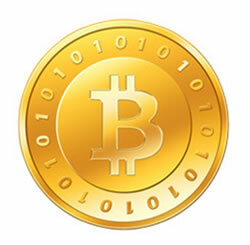 All BTC transaction data are forwarded and transmitted through nodes to a set of random nodes on the Bitcoin network. While these nodes do link to one another via an IP address, it is not substantially clear for nodes if the data transactions they received were generated by the nodes they linked to, or if those nodes simply forwarded the data. Bitcoin being a public blockchain means that a lot of data is available to those individuals looking to explore the network. Bitcoin’s public ledger provides everyone with detailed information about the context such as the entire history of the transactions as well as the nature of every transaction ever made including values, user public keys and time. It is possible for any marketing firm, intelligence agency and even an individual researcher to try and collect information about anyone’s real-world identity by analyzing Bitcoin’s network because of all the available data. Theoretically, people can use network analysis methods to determine a person’s identity connected to a BTC address over a long period. Increasing the level of your privacy will lower any risk of getting scammed or hacked by criminals. Once users have mastered security techniques, spreading its awareness will incrementally strengthen the Bitcoin blockchain against attackers and aggressors of all sorts. The Bitcoin’s system is constructed of solid and unyielding cryptography to prevent counterfeiting and different kinds of fraud. However, the human component in BTC transaction is always seen as the weakest link. Even though you will never be required to verify your identity physically to be able to download and use any BTC wallet, for average users, this is where the anonymity of the system ends. As soon as your BTC address becomes connected to your real-world identity, your anonymity might be compromised for that particular address, which is a difficult scenario to avoid when you’re receiving deliveries or doing business. One of the solutions to prevent this is to get an anonymous Bitcoin wallet, which is a wallet that keeps all your crypto-related activities private as broadly outlined at https://www.abitgreedy.com/anonymous-bitcoin-wallet/. Most wallets do not have this feature, especially if you will opt for a mobile wallet. Some of the most popular anonymous BTC wallets are Samourai, Jaxx and Electrum wallets. Always remember that Bitcoin, in its default state, should not be considered as an anonymous payment system. It being pseudo-anonymous is unsubstantiated at best, which can be compromised easily by a basic and simple net surveillance. Though compared to credit cards, Bitcoin by default is still very much private, but less so compared to cash.